Honda has announced that it will bring racing drivers Matt Neal and Gordon "Flash" Shedden to the Goodwood Festival of Speed, specifically to drive the new Civic Type-R up the hill climb as quickly as possible. 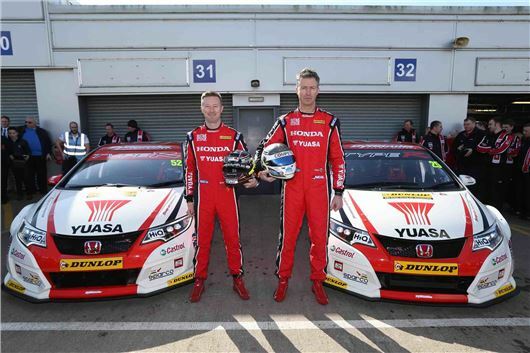 The pair will then head straight to Croft to compete in the fifth round of the British Touring Car Championship – where they’ll offer passenger laps in the new car for those brave enough. The new Honda Civic Type-R has a 310PS 2.0-litre turbocharged engine, making it the most powerful front-wheel drive car ever sold in the UK. That gives it a six-second 0-62mph sprint time and a 167mph top speed. On sale next month, the Civic Type-R costs £29,995. Click here to read our first drive of the Honda Civic Type-R.